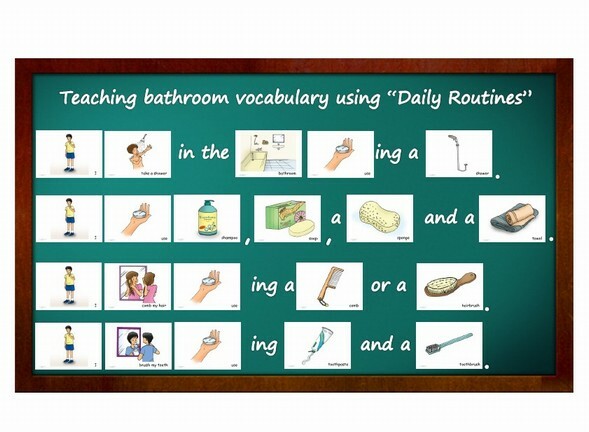 Teaching bathroom vocabulary using "Daily Routines"
Introduce bathroom vocabulary to students. After students have learned bathroom vocabulary create questions using daily routines vocabulary. Where do you take a shower? What do you use to take a shower? You can also introduce countable and uncountable nouns or extend your lesson by using “Telling Time“ flashcards to ask what time the action happens.